Join us at Heartstad, Located on Vashon Island, Washington for a certified 14-day Permaculture Design Course (PDC) taught by Nick Tittle and Brecht Deriemaeker of Surplus Permaculture Design (www.surpluspermaculture.org). The course will consist of a broad range of topics applicable to life anywhere on this planet, yet will be tailored to the needs of the students present as well as the location at hand. As part of the course, participants will help to co-create designs for real world projects that include elements such as food forests, permaculture-style gardens, natural building, water catchment, earthworks and irrigation systems. All will have an opportunity to take part in the existing permaculture activities on the hosting land. The course will be conducted in the internationally accepted manner, but will go far beyond the scope of many PDC’s. The 72 hours of course work required to receive a Permaculture Design Certificate, will be covered over a two week period, mixing hands-on activities, group work and walk-and-talks with plenty of in classroom studies, covering all major topics of Bill Mollison’s Permaculture: A Designers Manual. All students are required to be present for the full two weeks if they wish to receive the certificate. Brecht and Nick have managed the Panya Project, Permaculture Education Centre in Northern Thailand, since 2011. During this time, they co-facilitated more than twenty courses and practiced permaculture extensively. They are also co-founders of Surplus Permaculture Design, an international Permaculture Designers Cooperative and have consulted for projects in China, Thailand and India. 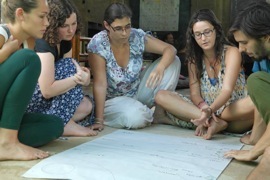 Our aim is to create a supportive learning community for the duration of the workshop, where trust, compassion, support and connection is built among participants. 4. Methods of design. How to apply permaculture design tools and strategies to your design problems. How to increase your chance on a successful design by following a well defined design methodology. 5. Climactic factors and strategies. We will cover all the major climates and how to work with them. 6. Trees, forests and Forest gardening. How to mimic natural forest systems to create an abundance of food, fiber and fodder. 8. Soil structure, minerals, microorganisms, building new soil and preventing erosion. Learn to work with the soil food web to create a healthy ecosystem and regenerate degraded land. 9. Earthworks. How to shape the land to help it achieve the goals we are aiming for. 11. Natural Building. How to build structures with materials available on-site. 12. Alternative systems. Community living and other ways of living differently that works well for people and the planet. Bioregional organization, community development, alternative economic systems, permaculture as aid. Located on 7 ½ acres on Vashon Island, Washington, Heartstad is a place where like-hearted people live together in a living/learning community, supported by the common practices of NVC (Nonviolent Communication) and Permaculture. Our Mission: To live in a community where all human, animal and the Earth’s needs are held with compassion, and to share what we learn with others. Vision Description: We live in awareness of the interdependence of humans, animals, and the Earth; that everyone’s needs matter. 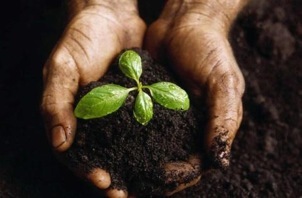 The well-being of the Earth is our well-being, and our well-being is the well-being of the Earth. We manifest this vision through the practice, learning, and sharing of NVC and Permaculture locally, regionally, and globally. Brecht grew up originally in Belgium and has been living in Thailand and running The Panya Project with Nick for two years. He holds master degrees in both Electromechanical Engineering and Industrial Product Design. He applies his knowledge of design methodology and engineering to Permaculture Design. He teaches with passion and dedication about a variety of topics including earthworks, design, climate, patterns, biogas, solar energy, natural building and much more. Brecht strongly believes in teaching people to be designers, not just in teaching designs. Together with Nick, Brecht co-founded Surplus Permaculture Design and is a professional permaculture consultant with design experience for community’s in China, India and Thailand. Nick grew up in Washington DC and attended the University of South Carolina before heading to South East Asia where he ended up running the Panya Project Permaculture Education Center. Nick spends extensive time hiking and camping in the backcountry, and studying natural forest patterns, which he can apply to holistically designed systems. Nick specializes in teaching about the permaculture principles, organic gardening, forest gardening, soils, animal husbandry and alternative economic systems. Together with Brecht, Nick co-founded Surplus Permaculture Design and works as an international consultant. A gift economy is a community-based economy with no price and no debt. It's founded upon the idea that we all need each other to live full, happy, healthy lives. People give simply because other people matter. This PDC course is run solely on a donation basis. Donations of food, money, time, skills, and physical items will be accepted at any time during the course, as your heart is moved. Gift economy is not about how much you give but about what feels right to you. It is about your personal journey and empowerment. How do you determine the true value of this course? How do you make a trade-off between what you can personally contribute versus the teacher's needs versus the hosting site's needs? During the course, all of this will be discussed in full transparency, with the goal of empowerment and independent choice. We do not want to tell you what to give, but we want to support you in your personal journey of authentic gifts. Gift economy is about integrity and honesty. We find that offering courses on a true gift basis is a heart-opening experience that builds deep connection with each other and strengthens the whole community. Because some people say it is helpful, the costs associated with such a course include travel expenses for instructors, food, accommodation, teaching aids (hand outs, ..), energy to keep you warm and happy and lots of prep time. Other comparable courses range in prices from $500 – $2000 for a two week PDC with design certificate. 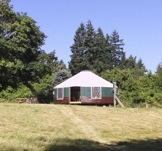 Heartstad has a large farmhouse, a 30’ yurt for classes, a spring on a hill, a well, a century-old apple/nut orchard, mixed deciduous and fir woods, hayfields, deer fenced gardens, composting toilets and solar outdoor showers. We also have a large field kitchen for summer events, workshops, and courses. Flat and beautiful camping spots abound on the property, and we have a 6 bedroom dorm in the farmhouse, for those who prefer not to camp. If you are interested in a creative way to come up with funds to gift for this course, look into fundraising for it through WeTheTrees.com. It is a great way to reach out to your family and friends, let them know what you are up to and give them a easy way to contribute to your education. We expect the 30-space course to fill quickly. Community is very important to us, so we will take registration from Vashon Islanders from now through June, hoping to have at least half the course filled by our friends and neighbors. During the month of July, we will prioritize all WA Staters. Open wait list and registration to anyone, from anywhere, begins August 1 to the beginning of the course. Our instructors will have some of the 30 spaces reserved for their community as well. No matter where you are from please feel free to contact us about availability. Please submit your registration and contact details as soon as possible to reserve your place. To register for the course, please contact Diane Emerson, dianeemerson@yahoo.com, phone 206-234-4813.